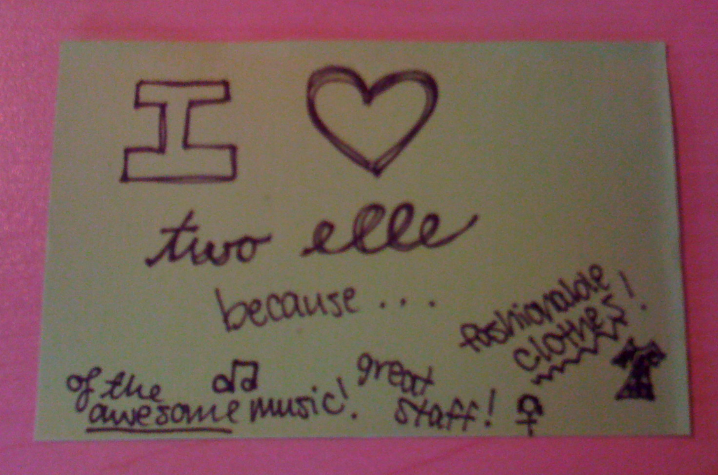 In a totally unsolicited move, our new BFF Zoe made us this darling valentine. Please understand that we have a lot of love to give, but you’re all going to have to step it up like Lady Z in order to earn it. We’ve even made it easier on you by providing some pre-made valentine options in case you’re not as creative as Zoe. So, join in the love fest, kids! You have until Saturday to show us how much you love us…..
And Zoe, we love love love you!!!!!!!!!!! Don’t feel like you have to stick to the traditional red & pink just because it’s Valentine’s Day! 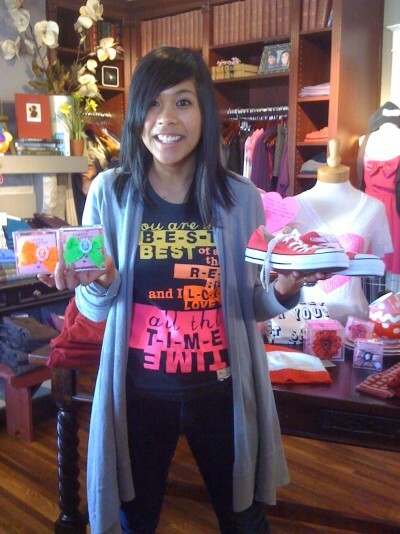 Take a cue from Ellie and go neon with the Built by Wendy “Best Friends” tee, these BRAND NEW Tarina Tarantino neon hair bows, and these equally new hot pink chucks. Jenna & Kellie!! Jenna & Kellie!! What happens when Ellie has to photograph a wedding, Lauren has to nanny, and Amanda is out of town? Well, that’s when superhero dream team Jenna & Kellie step up to the plate. They both trained and sparkled on the floor all day Saturday, and they’re back to do it again today. Come visit them today to see if you think they’ve got what it takes. You could even leave them some Valentines if you’re that impressed with their performance. Oh, and definitely ask Jenna about Jet, her brand new Tarina purchase (because she shops when she “works”)…. How appropriate that in a month where we can’t stop talking about love, our favorite number 13 should celebrate his birthday. Come by the store today and tell us how impressed you are with the magic that is Steve Nash, and we’ll give you 13% off your entire purchase! 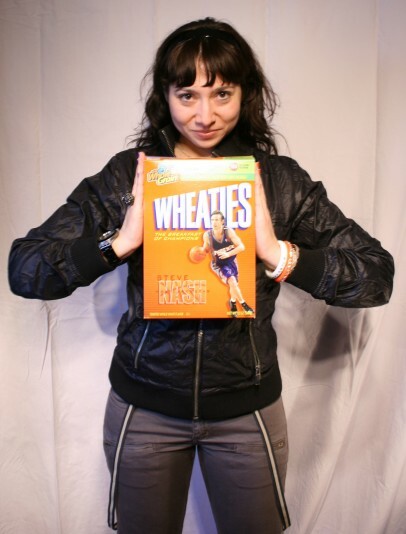 And remember, friends, Steve Nash only has a birthday once a year, so this is a one-time opportunity! Why go the conventional V-Day route with chocolates & flowers when we have so many other options for you to choose from? 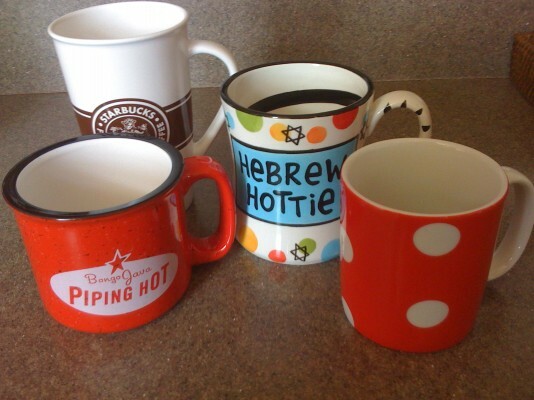 Cameron and Rachel have a history of exchanging mugs as tokens of friendly adoration (the above is Rachel’s collection from Cameron….the red polka dot from two elle, of course). Check out more pics to see a sampling of our Sabre mugs. You could make their “thing” yours!